The MW 08 (abbreviation of Dutch words: Maritiem Waarschuwing, i.e. 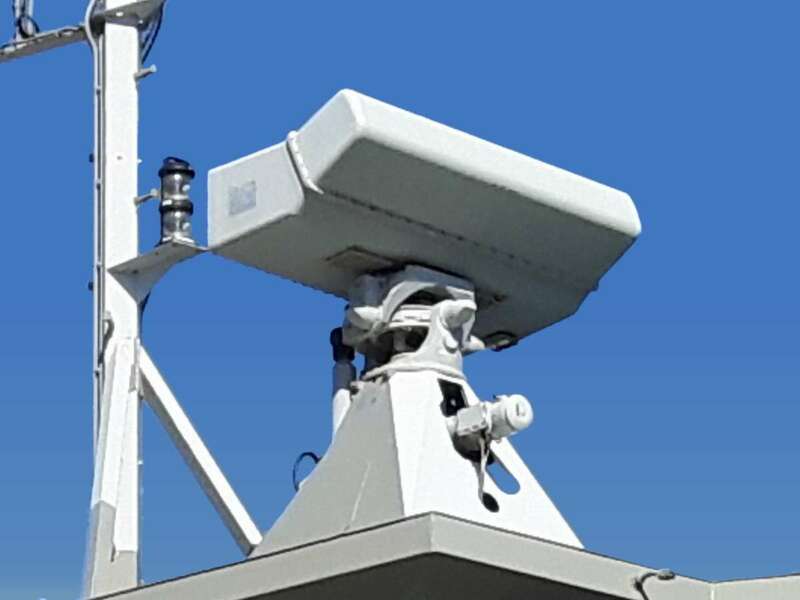 maritime surveillance) is an operating in G-Band short to medium range multibeam air and surface surveillance, target acquisition, and tracking radar. With its lightweight roll and pitch hydraulically stabilised platform, the MW 08 can be mounted in a high mast position. The antenna is an array, consisting of 8 horizontal polarized stripline antennas. The received echo signal is processed by 8 receiver channels. These channels come together in the beam forming network, in which 8 virtual beams are formed. From this beam pattern, 6 beams are used for the elevation coverage of 0-70 degrees. The vertical beamwidth of these beams is 12°. The transmitter is a fully coherent amplifier with TWT output stage. The radar uses intrapulse modulation. The compressed pulse width is 0.6 µs. The radar is capable of tracking up to 160 air targets and 40 surface targets simultaneously.